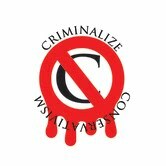 Criminalize Conservatism: Reagan: STILL A Worse President Than Bush 43! Reagan: STILL A Worse President Than Bush 43! "When a political party is absent of achievement, they must rely on myth. "That being the case, Republicans are celebrating the 100th anniversary of Ronald Reagan’s birth as if it was the birth of their savior, rewriting the history of failed 'Trickle Down' policies that have turned the once vibrant American middle class into economically insecure Serfs. "Elevating Ronald Reagan to sainthood is a survival mechanism for the Republican Party, whose policies have also had the results of turning the US into the least upwardly mobile with the widest income gap of all industrialized nations. 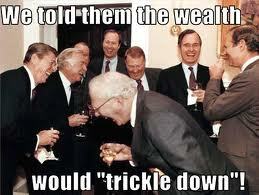 "But this downward spiral for the working class is not a problem to Republicans. "To peddle their trickle-down snake oil to the suffering masses, Republicans are forever in search of a spokesman (or woman) to be the friendly face of fascism, leading the former middle class into compliant Serfdom. "For example, Wayne Slater, author of 'Bush’s Brain: How Karl Rove Made George W. Bush' (r)eported that when Karl Rove met George W. Bush he told his friends, 'I can make him president of the United States,' He didn’t say, 'This man really should be President!' He knew what all the Republican establishment knows… image is everything – especially when your designs are… let’s just say… greed-centered, far from altruistic and abysmal failures in the eyes of the majority of the population. "Given the lack of long term memory in the American psyche, by the time Reagan sought the office of the Presidency, many people had forgotten the world prior to the New Deal and came to view their new economically secure station as a consequence of 'pulling themselves up by their bootstraps' rather than the natural outcome of protectionist trade policies, tariffs, high marginal tax rates and collective Union bargaining. "Into this memory hole stepped Ronald Reagan who, with a big shout out to 'state’s rights', felt confident launching his Presidential campaign in the town where three civil rights workers — Michael Schwerner, James Chaney and Andrew Goodman — were murdered in 1964 – as a dog whistle call to racists who, forgetting the struggles of the past, had begun to self-identify with the 'upper class' and could be manipulated into turning against the poor (read 'brown people') who, they were told, were only out for the “handouts” courtesy of our hard-won social safety net. "So, if FDR was the revolutionary whose policies created a strong middle class for generations, Ronald Reagan was the counter-revolutionary whose attacks on those policies can be directly traced to the collapse of the American Dream. "So, on this anniversary of the birth of the Class War’s front man, let’s remember the truth. Even Reagan’s own Budget Director David Stockman is currently doing the media rounds explaining the failure of Reaganomics. Whereas, until Reagan got a hold of them, liberal policies improved the lives of Americans, so much so that many of today’s Republicans trip over each other trying to position themselves as the protectors of the policies their historical counterparts -including Ronald Reagan – fought to prevent. "Think Progress has also put together a list of 10 Things Conservatives Don’t Want You To Know About Ronald Reagan. "Reagan was not the man conservatives claim he was. This image of Reagan as a conservative s"uperhero is myth, created to untie the various factions of the right behind a common leader. In reality, Reagan was no conservative ideologue or flawless commander-in-chief. Reagan regularly strayed from conservative dogma — he raised taxes eleven times as president while tripling the deficit — and he often ended up on the wrong side of history, like when he vetoed an Anti-Apartheid bill. 1. Reagan was a serial tax raiser. 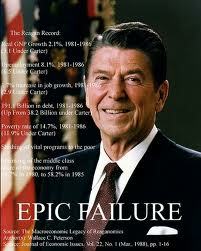 As governor of California, Reagan 'signed into law the largest tax increase in the history of any state up till then.' Meanwhile, state spending nearly doubled. As president,Reagan 'raised taxes in seven of his eight years in office,' including four times in just two years. As former GOP Senator Alan Simpson, who called Reagan 'a dear friend,' told NPR, 'Ronald Reagan raised taxes 11 times in his administration — I was there.' 'Reagan was never afraid to raise taxes,' said historian Douglas Brinkley, who edited Reagan’s memoir. Reagan the anti-tax zealot is 'false mythology,' Brinkley said. "2. Reagan nearly tripled the federal budget deficit. During the Reagan years, the debt increased to nearly $3 trillion, 'roughly three times as much as the first 80 years of the century had done altogether.' 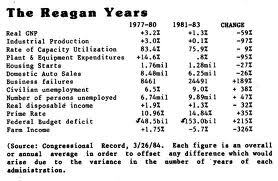 Reagan enacted a major tax cut his first year in office and government revenue dropped off precipitously. Despite the conservative myth that tax cuts somehow increase revenue, the government went deeper into debt and Reagan had to raise taxes just a year after he enacted his tax cut. Despite ten more tax hikes on everything from gasoline to corporate income, Reagan was never able to get the deficit under control. "3. Unemployment soared after Reagan’s 1981 tax cuts.Unemployment jumped to 10.8 percent after Reagan enacted his much-touted tax cut, and it took years for the rate to get back down to its previous level. Meanwhile, income inequality exploded. Despite the myth that Reagan presided over an era of unmatched economic boom for all Americans, Reagan disproportionately taxed the poor and middle class, but the economic growth of the 1980′s did little help them. 'Since 1980, median household income has risen only 30 percent, adjusted for inflation, while average incomes at the top have tripled or quadrupled,' the New York Times’ David Leonhardt noted. "4. Reagan grew the size of the federal government tremendously. Reagan promised 'to move boldly, decisively, and quickly to control therunaway growth of federal spending,' but federal spending 'ballooned' under Reagan. He bailed out Social Security in 1983 after attempting to privatize it, and set up a progressive taxation system to keep it funded into the future. He promised to cut government agencies like the Department of Energy and Education but ended up adding one of the largest — the Department of Veterans’ Affairs, which today has a budget of nearly $90 billion and close to 300,000 employees. He alsohiked defense spending by over $100 billion a year to a level not seen since the height of the Vietnam war. "5. Reagan did little to fight a woman’s right to chose. As governor of California in 1967, Reagan signed a bill to liberalize the state’s abortion laws that 'resulted in more than a million abortions.' 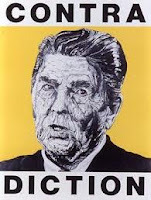 When Reagan ran for president, he advocated a constitutional amendment that would have prohibited all abortions except when necessary to save the life of the mother, but once in office, he 'never seriously pursued' curbing choice. "6. Reagan was a 'bellicose peacenik.' He wrote in his memoirs that '[m]y dream…became a world free of nuclear weapons.' 'This vision stemmed from the president’s belief that the biblical account of Armageddon prophesied nuclear war — and that apocalypse could be averted if everyone, especially the Soviets, eliminated nuclear weapons,' the Washington Monthly noted. And Reagan’s military buildup was meant to crush the Soviet Union, but 'also to put the United States in a stronger position from which to establish effective arms control' for the the entire world — a vision acted out by Regean’s vice president, George H.W. Bush, when he became president. "7. 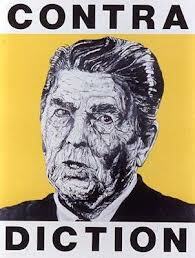 Reagan gave amnesty to 3 million undocumented immigrants. Reagan signed into law a bill that made any immigrant who had entered the country before 1982 eligible for amnesty. The bill was sold as a crackdown, but its tough sanctions on employers who hired undocumented immigrants were removed before final passage. The bill helped 3 million people and millions more family members gain American residency. It has since become a source of major embarrassment for conservatives. "8. Reagan illegally funneled weapons to Iran. Reagan and other senior U.S. officials secretly sold arms to officials in Iran, which was subject to a an arms embargo at the time, in exchange for American hostages. Some funds from the illegal arms sales also went to fund anti-Communist rebels in Nicaragua — something Congress had already prohibited the administration from doing. When the deals went public, the Iran-Contra Affair, as it came to be know, was an enormous political scandal that forced several senior administration officials to resign. "10. Reagan helped create the Taliban and Osama Bin Laden. Reagan fought a proxy war with the Soviet Union by training, arming, equipping, and funding Islamist mujahidin fighters in Afghanistan. Reagan funneled billions of dollars, along with top-secret intelligence and sophisticated weaponry to these fighters through the Pakistani intelligence service. The Talbian and Osama Bin Laden — a prominent mujahidin commander — emerged from these mujahidin groups Reagan helped create, and U.S. policy towards Pakistan remains strained because of the intelligence services’ close relations to these fighters. In fact, Reagan’s decision to continue the proxy war after the Soviets were willing to retreat played a direct role in Bin Laden’s ascendency. 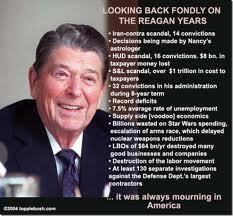 And for those who to pass on a few facts about their cherished Ronnie to their Conservative friends, neighbors, acquaintances, and Sheeplets ensconsed in right-wing forums, remember that the Nation still suffers from Reaganism, the many right-wing policies passed under the decrepit President still affect us every day. When foolish voters exercise their right to vote without examining the candidates, they get what they deserve IF each and every candidate tells the truth about their core principles. When Ronnie suggested that corporations be given a pass on paying income taxes, he told the truth about a core belief - for once. And when Ronnie broke the law, as he did when he illegally funneled weapons to Iran and secretly funded anti-Communist rebels in Nicaragua, impeachment proceedings should have begun...except that Ronnie's last acting job, pretending to be a man in his second childhood, worked to protect himself from legal proceedings after his last term in office. But if we continue to vote for Conservative pols without recognizing the inherent criminality of those candidates, we will continue on the road to the Conservatives dream of a New American Age of Feudalism.